We have been denied TG:UK for too long, but we'll get a taste of the car world's most popular show on November 2nd. Richard Hammond will air a special on Bond cars along with some additional Top Gear action. Top Gear states that the Hamster is coming back not in the Top Gear Christmas Special, but on a 50 years of Bond cars retrospective. Expect the Goldfinger Aston Martin DB5, the submarine Lotus Esprit, and a preview of Skyfall's upcoming automotive content. Richard Hammond is Richard Hammond, though, and he wouldn't make a Top Gear special without trying to make a Bond car of his own. 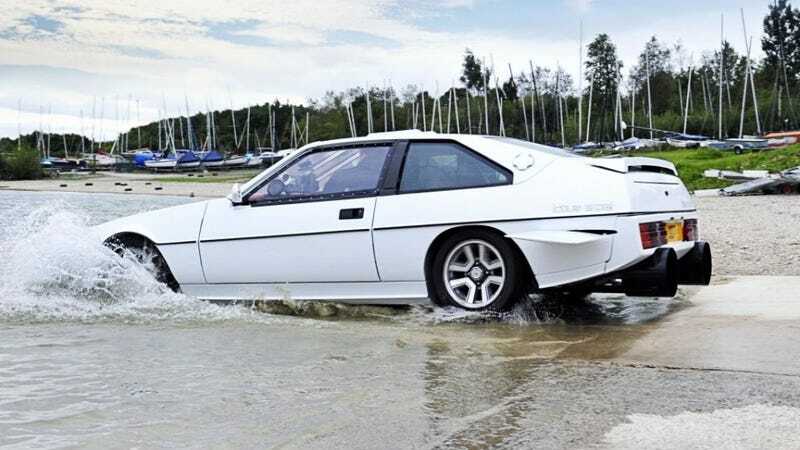 Expect an ambitious-but-rubbish invisible car (it wouldn't be their first) and a homemade submarine Lotus Excel.